Picasso. Monet. Van Gogh. At Raynor Country Day School, your child will become immersed in the world of great artists and masters of the Renaissance world. 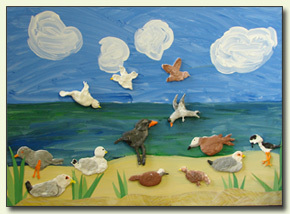 In addition, your child will learn to explore personal interests to create modern art reflecting their own experiences. Students enjoy turning the halls of Raynor Country Day School into a professional art gallery on a weekly basis. 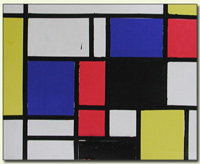 During the course of the school year, student artwork is often celebrated in both the school and local community. Classes come together, annually, to create a beautiful piece which is custom framed and auctioned off at our annual Chinese Auction & Dinner Dance. In addition, classes work cooperatively to create a unique and exciting piece which is displayed at the Parish Art Museum in Southampton. Finally, individual student pieces are showcased during the annual Evening of Art & Music.